If you rely on your weekly trash service to eliminate waste from your home or office, you may want to think about implementing a new recycling program. In this video, you will take a look at an example of a Japanese town that has managed to reduce, reuse, and recycle their way into generating zero waste. By sorting their waste into 34 categories, the residents of this town have completely eliminated the need for landfills. 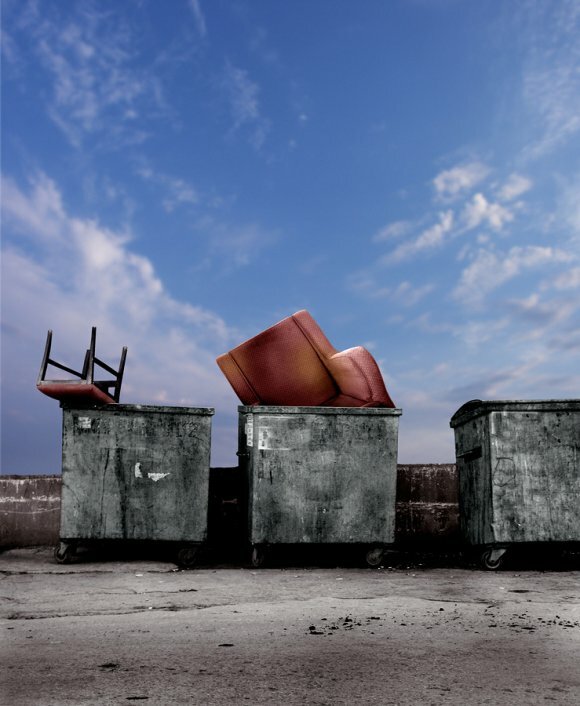 A company that offers targeted waste management can help you to recycle near Atlanta. 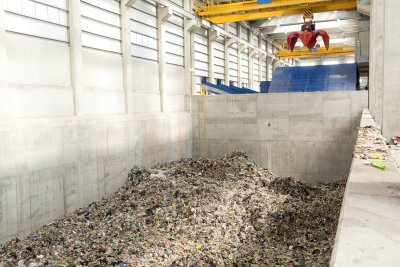 While it may not be possible to cut back on your landfill waste altogether, it is important to continually be on the looking for ways to improve your recycling program. By remaining dedicated in your efforts to recycle, you can dramatically cut back on your production of trash. Who Can Benefit from Our Dumpster Rental Services? If your site produces large volumes of waste, you may be seeking new strategies for managing your trash and recycling. At Southern Waste and Recycling, our dumpster rental services may provide you with the solution that you need for handling large volumes of trash and refuse. With our affordable dumpster rental prices, you will be able to easily afford a dumpster in Atlanta. During our years in the dumpster rental industry, we have found that our services are appropriate for a variety of businesses and industries. If you work in the manufacturing or processing sectors, you may find that our dumpster rental services help you to handle the excess waste that is generated throughout your busy day. 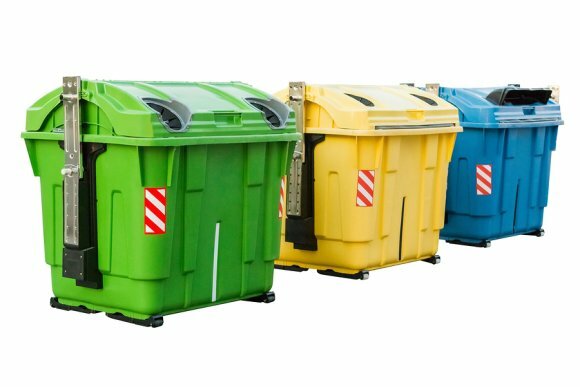 Other facilities, such as schools, hospitals, and restaurants, also benefit from our dumpster rentals. Rather than attempting to fit all of your disposables in a small, municipal waste bin, you can tackle your waste all at once by renting one of our spacious dumpsters. Electronics play a critical role in the daily life of the average American. 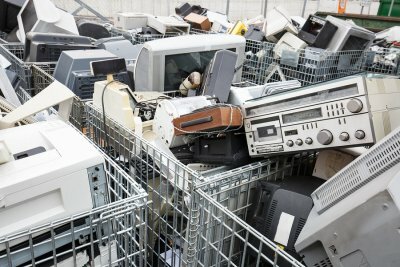 If you’re like many people who recycle near Atlanta, then you may have questions about the process of electronics or e-waste recycling. Read on for some insight into the life cycle of electronics and why your used devices should be recycled and not tossed into dumpsters. Materials like copper, platinum, gold, and iron are mined from the earth, refined, and then used to create a broad range of the electronics that people use every day. The process of refining raw materials produces greenhouse gas emissions and requires a significant amount of energy. For these reasons, recycling the materials used to make electronics conserves energy and benefits the environment. Next, the refined materials are used in the manufacturing of electronics. Some manufacturers also use recycled materials during this process. Then, the electronics are sold and used. When purchasing electronics, it’s ideal to choose those that are designed with environmentally friendly features. Also, select those products that are made with durability, longevity, and recyclability in mind if you want to reduce your environmental impact. Ideally, all used electronics would be disposed of through a certified electronics recycler. This step can be done in a variety of ways. For example, electronics retailers and community centers often have e-waste recycling bins. Also, some companies offer warranty and mail-in programs that reward consumers for sending in their old devices. These used products can be refurbished or recycled, cutting down on the need for mining and processing new materials. Unfortunately, some used electronics are thrown in waste bins and disposed of in landfills. Once this happens, the valuable materials used to make the electronics cannot be recovered and recycled. Those electronics that do make it to an e-waste recycling facility are dismantled before being sorted into categories of valuable and recyclable materials, such as aluminum, gold, glass, and copper. Then, the materials return to the supply chain where they can be used to create new electronics and other products. If you’re seeking a commercial dumpster rental for any reason, one of the most important decisions you’ll need to make in addition to the size of the rental dumpster itself is where the dumpster will be placed on your worksite or commercial property. Your dumpster rental provider in Atlanta can help you select the right front load or roll-off rental dumpster for your needs, and here are a few tips for helping you select the best drop-off site for the dumpster you select. The automotive industry is one of the fastest growing production industries in the United States. As the owner or operator of an automotive manufacturing facility, it is up to you to create a waste management plan that boost the efficiency of your production, while also helping to preserve the environment. A company offering dumpster rental near Atlanta can help you address your waste and plastic recycling for your automotive plant. By hiring a team of waste management professionals, you can help your waste management strategy evolve with the changing needs of your plant. Read on for a look at some of the most common waste management concerns for automotive plants. One of the top waste management concerns for automotive plants is the environment. The typical automotive production process generates waste and materials that can be harmful to the earth’s ecosystem. However, by incorporating eco-friendly waste management methods into your automotive plant, you can ensure that you are addressing the environmental concerns of your business. Proper waste management can help preserve the climate and ecosystem for future generations. Along with environmental concerns, waste management in automotive plants also poses concerns for worker safety. Workers in automotive facilities will sometimes come into contact with waste materials that are considered to be health and safety hazards. With a carefully designed waste disposal program, you can make sure that your workers are safe when they are disposing of harmful or toxic materials. Finally, when you are creating a waste disposal plan for your automotive plant, it is important to be aware of any state or federal regulations that pertain to your disposal methods. Waste disposal regulations are designed to make sure that automotive plants are using waste management practices that are environmentally sound. By reading up on your local regulations, you can make sure that your waste management is in full compliance. With these factors in mind, you will be ready to start a waste management plan for your automotive plant. Whether you need a dumpster rental for a few weeks to complete a job at an industrial site or you need to use it for as long as your commercial property is in business, you should obtain one for all of your waste management needs. You can use front load and roll off dumpsters in Atlanta for regular waste or for recycling. Southern Waste & Recycling can arrange to drop a dumpster rental off to you today so that you can begin using it right away. Regardless of what type of business you run, you can benefit from the use of a dumpster rental. Dumpster rentals come in a variety of different sizes, and they can be used to dispose of just about anything. From manufacturing sites to healthcare facilities, we have experience dropping dumpsters off at all kinds of locations, and we guarantee that you will love the customer service that we provide. When you work with Southern Waste & Recycling, we will handle all of your waste management needs for you and show you how to make the most of our dumpster services. Do you find that your company’s dumpster rental is overflowing at the end of every week? Chances are, you and your fellow employees are generating entirely too much waste on a daily basis. By taking some simple steps towards sustainability, you can decrease the amount of waste you create, save money on your waste management bills, and do your part to help the environment. Here are just a few of the ways you can prevent waste from landing in your dumpster rental near Atlanta. If you took everything out of your dumpster rental at the end of the week and took a look at what you’re throwing out, you would likely find that a large majority of it is paper and paper products. Offices in particular are notorious for wasting large amounts of paper. You can stop this by finding ways to cut back on your paper use significantly. By making photocopies on both sides of paper, relying on electronic documents as opposed to hard copies of documents, and actively trying to stop junk mail from getting sent to your business, you can eliminate your paper waste. You and your employees should not be placing metal, plastic, or most types of paper into your regular trash receptacles. Instead, you should have recycling bins placed throughout your commercial property. When you recycle items instead of throwing them out, they will be sent to a recycling center so that they can eventually be reused in another form. Purchasing coffee mugs and reusable water bottles for your employees won’t necessarily be cheap. You will likely have to invest a few hundred dollars into it, depending on how many employees you have. However, by giving your employees these things, you will cut down on the coffee cups and water bottles that end up in your dumpster rentals and recycling bins. They will help cut your waste management costs and reduce the amount of waste you send to landfills. When you are getting prepared for a home construction or demolition project, a dumpster rental is among the pieces of equipment that you will need to rent. A dumpster rental will help you dispose of all of the construction waste and other materials that are created during your project. In addition, your dumpster can also serve as a cardboard recycling station. 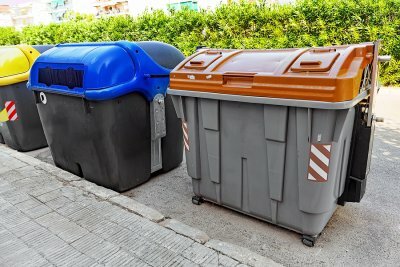 A company offering recycling serving Atlanta can help you rent the right roll off dumpster for the size and scope of your project. 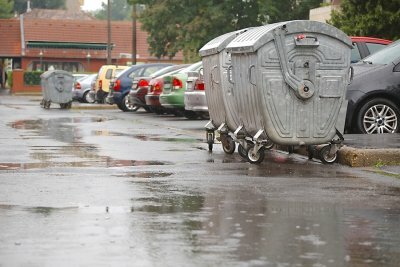 As you are preparing for a dumpster rental, it is crucial to determine where your dumpster will be placed in your yard. Read on for a closer look at some essential tips for placing your dumpster rental. In order to choose the correct placement for your dumpster rental , you can start by choosing a dumpster that is the right size for your project. Many dumpster rental companies offer dumpsters in a variety of different sizes. By choosing a dumpster that is not too large, you can ensure that you will have plenty of room to place your dumpster on your property. Another tip to keep in mind when you are placing your dumpster rental is to create a sturdy base for the dumpster, itself. 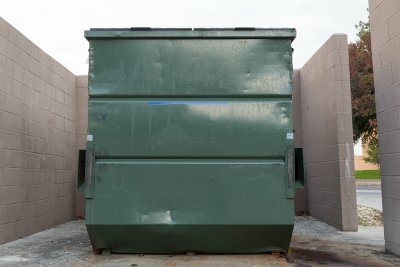 Whether you are planning on placing your dumpster on a solid concrete surface, or will be locating your dumpster on a grassy lawn, you should be sure to create a plywood base for protection. As you are placing your dumpster rental, you should also make sure that your dumpster can be easily accessed by your workers and crew. 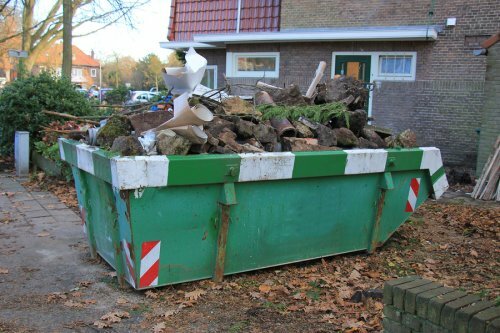 By placing your dumpster in an easily accessible position, you can rest assured that your contractor will have no trouble disposing of all of your construction waste. Additionally, you will also want to make sure that your dumpster can be easily retrieved by your waste management company when your project has been completed.